20100323 by Shannon Lowder 0 comments on "SQL Injection License Plate"
While it would be nice to put my knowledge of SQL to work in such a way, I highly doubt this injection attack would do much to prevent getting a ticket. But it should make you consider the possibility that this code could do damage to one of your projects, should someone try to enter this into one of your web forms. Have you considered Injection attacks on your SQL solutions? 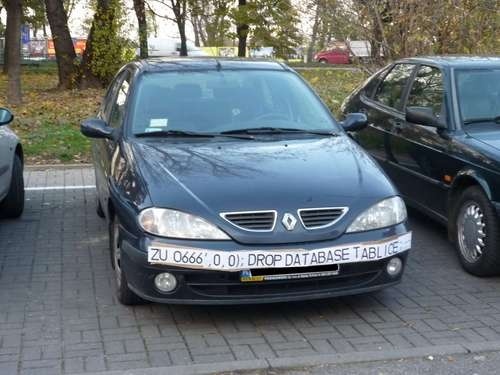 If you haven’t would you like me to cover SQL injection attacks in future posts?